As far as my Infinite Monkey Theorem animated short goes, I think I'm just going to have to stop stating what I hope to complete by the next post and just be happy with the fact that I've completed something, and that the project is progressing. Last post I was hoping to have the entire final draft of my polished storyboard finished this week but instead, all I've managed is to create a top down view of my typewriter prop. Not that the prop is a straight forward drawing of a typewriter. It has been created in layers so that various parts can be easily animated in the final short - but still, I thought I'd manage more. There's not much to explain. It's a similar process to how I created the character for scene one of the storyboard so sit back and watch the short video below if you really want to see the creation of this prop from start to finish. 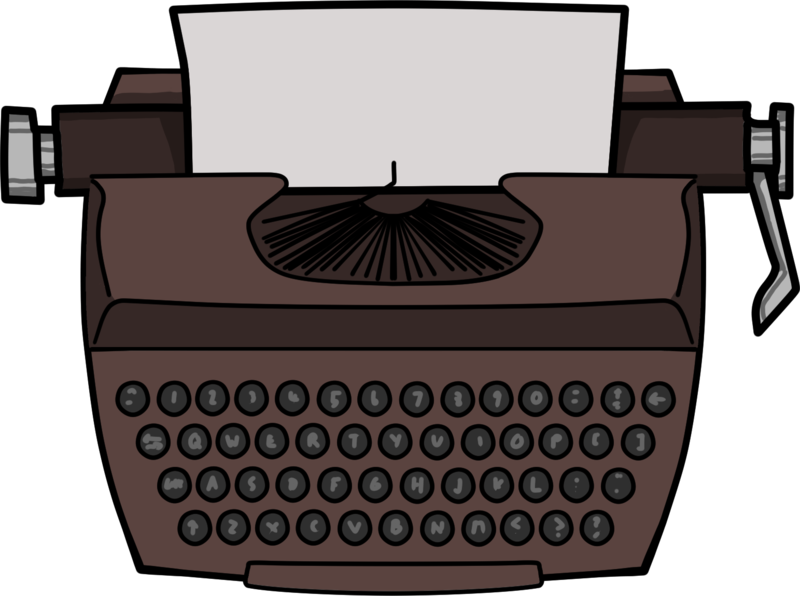 Note that this typewriter prop may end up in my Reallusion Market Place store once I've used it in my own animation because, you never know, when you're going to need a typewriter prop. You can also buy Reddy and his brothers, Super Bluey, and the Great Greensbury from my store too, for your own CrazyTalk Animator 3 productions.